Colorado Springs metal roofs are highly resistant to damage from the elements and may frequently last 40 years or more. They are highly fire resistant and require little maintenance. Small, damaged areas can be repaired with patches of similar metal. The materials used in a metal roof installation may include copper, tin, steel, aluminum, lead or an alloy combination of one or more of these metals. 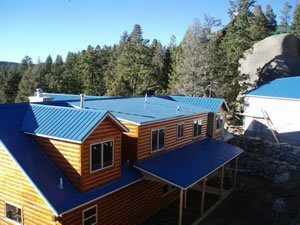 The transformation of aluminum into visually effective cedar shakes, slate, and tiles, coupled with the facts that it does not rust, and actually reduces the sound of rain is quickly making it the number one choice in metal roofing. Leading the market are the simulated cedar shakes, which are, for all intents and purposes, indistinguishable from actual cedar shakes. Aluminum and steel roofing material is usually coated with Kynar, a plastic coating, which comes in a variety of colors that should suit every homeowner and with enhanced energy ratings. At Go2 Contracting LLC we specialize in metal roof replacements, repairs, and installations for your home or business whether you are located in Colorado. Contact us today for a free estimate and consultation for your residential or commercial metal roofing project. Go2 Contracting’s approach to customer service is to provide a cost-effective solution with a scheduled maintenance program that will greatly extend the life of your Colorado metal roofing system. Go2 Contracting’s maintenance program involves a physical inspection of the existing roofing system to determine the condition. We map any weakness or failures within the roof system. With a “Go2 Contracting” maintenance program, our technicians can assist you in protecting your roofing investment. At Go2 Contracting LLC we also understand that when you have a problem with your home’s roof, you want it fixed NOW. So, in order to excel in customer service and continue providing the quality results we’re known for, Go2 Contracting created the 48-Hour Pledge. 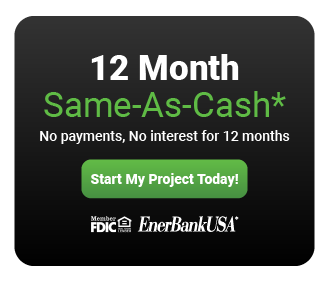 Once our customers place a call and notify us of their roofing issue, our commitment is to be on-site to find and diagnose the problem AND correct the problem – either temporarily or permanently – in less than 48 hours. That’s our promise as your Colorado Springs roofing contractor!